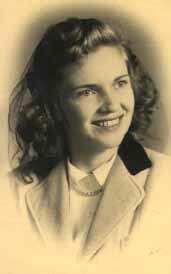 The first outrageous woman in my life was my mother, Enid C. Hine. There is much to admire about her, and I am very fortunate to have a mother like her. She is a brilliant, hard working, caring, and capable person of great integrity, and has always been a powerful influence in my life.